"To know where we are headed, it’s important to know where we are and where we come from. As Dr. Martin Luther King, Jr. wrote in his book Strength to Love, “We are not makers of history; we are made by history. "With that in mind, in the conversation that follows Maddy Harland provides a 25 year retrospective on permaculture as viewed through her role as the longtime editor of Permaculture Magazine, which has been encapsulated in her new book Fertile Edges. 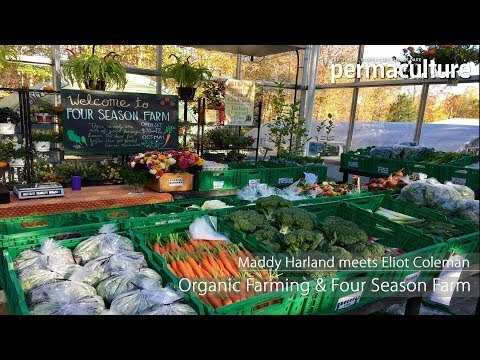 "Find out more about Maddy Harland and the magazine at permaculture.co.uk. You can order a copy of her book, Fertile Edges, from permanentpublications.co.uk if you are in the United Kingdom, or ChelseaGreen.com if you are in the United States." Learn how to stack up to seven functions in your permaculture systems, all applicable to any sized plot, from small gardens to broad-scale farms.